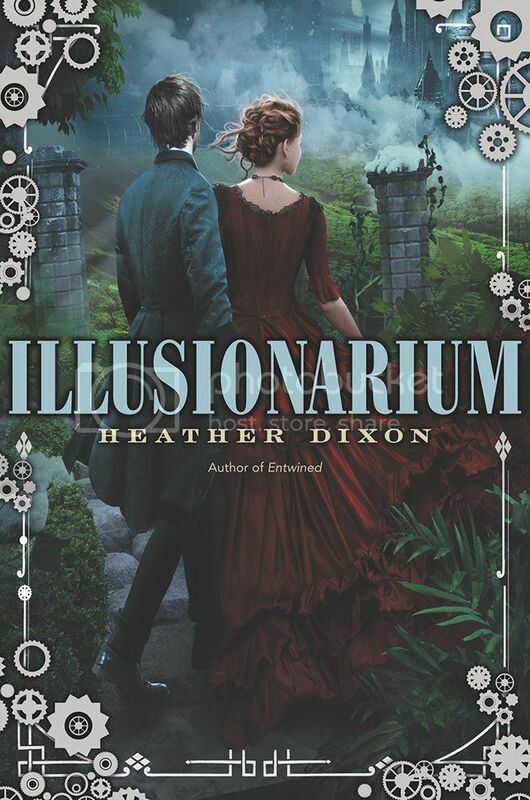 I was super excited to check out Illusionarium by Heather Dixon! The summary for the book sounded really unique and entertaining. I’ve had Dixon’s Entwined on my to-read list for forever, but have never had a chance to read it, so I was excited to finally be able to read something by her. The story is told from Jonathon, the main character’s, point of view. Jonathon describes himself as pretty average in every single way, until he’s not. When he discovers that he can create illusions, everything changes for him. It was interesting to watch him grow as a character that pretty much thought himself to be ordinary, into something completely extraordinary. The storyline for the book was really imaginative. It did take me a while to catch on to a few things, but once I did, the story held my interest. The world-building was super creative. Imagine living in London in 1882, but there are airships in the sky and a deadly plague that is targeting only women. Then there is the alternate universe London, which is completely different in almost every single way, and is a place that I would never want to visit. Haha! There’s a plot twist towards the end of the book that I totally saw coming, but still cheered myself for being right about it. There is a teeny-tiny bit of romance in the book, but it’s completely overshadowed by the storyline. I do wish that we had seen more of it. 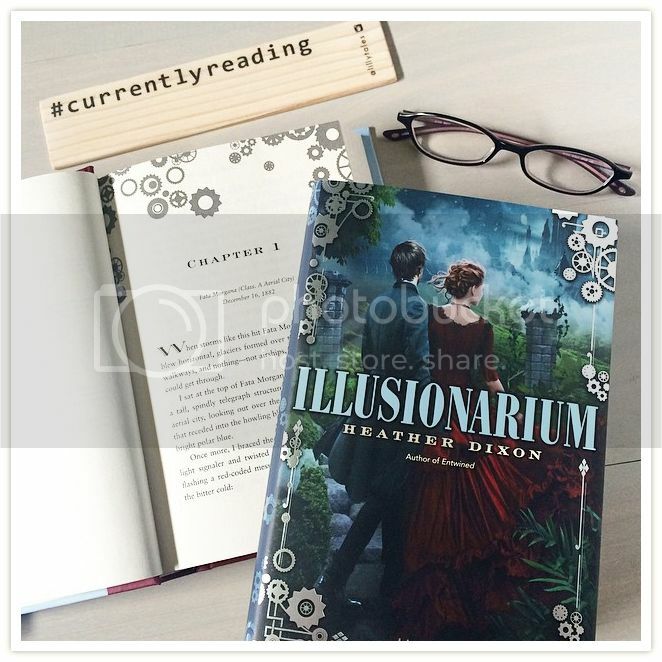 Overall; I found Illusionarium to be a very unique and entertaining read. The storyline, characters and world-building really made for an interesting story. Now that I’ve read something by Heather Dixon, I’m definitely going to have to make time to read Entwined soon! YAY! So you liked this one too! I was really pleased by this book - after waiting so long for another book by Dixon, I was happy not to be disappointed! Definitely read Entwined, I read it years ago and loved it. It's one of my all-time favorite novels! I think I have this galley. I'm sire I picked it up when I heard it was Steampunk. I'm looking forward to reading it! I really like the cover of this! I'm not a huge fan of steampunk, but this sounds like it would be a really fun adventure to read. Thanks for posting! Awesome review, Christy! I am excited to check this one out. I love that it's set in London during the 1800s with a twist. I'm glad you enjoyed this book!